Vancouverites are starting to see an increase in coyote sightings across the Lower Mainland. According to The Province, coyotes (as well as raccoons and skunks) are wandering the Greater Vancouver Area looking for places to deliver the babies that were conceived during winter. “These animals are on the move. They’re looking for dens,” Adrian Nelson, urban wildlife conflict manager with the Association for the Protection of Fur-­Bearing Animals, told the newspaper. 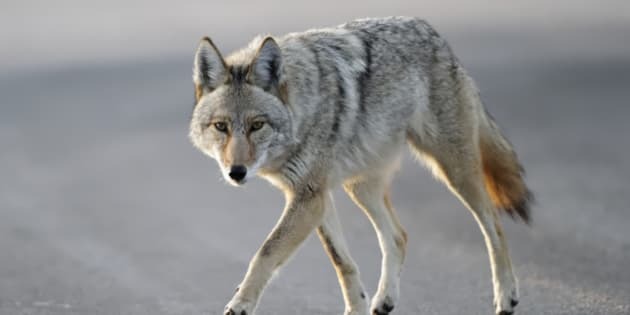 That means, according to the BC SPCA, you should protect your pets and be aware of areas where coyotes have been seen to help prevent a conflict. People are advised to respect a coyote's space and never feed one. There is a Coyote Sightings Map on the Stanley Park Ecological Society website, where you can plot your sightings and see where others have been spotted. The different coloured paw prints indicate whether it was simply a sighting, an injured animal, an attack, or something else. People have also taken to Twitter and Instagram to share sightings and warnings. If you live in the West End in #Vancouver be careful walking your dog. Saw a coyote near Thurlow and Pacific tonight. It was a big one. More information on how to coexist with coyotes can be found here.